"We specialize in yard greetings that make any day a celebration"
We want to help you celebrate ANY special occasion in a unique way! 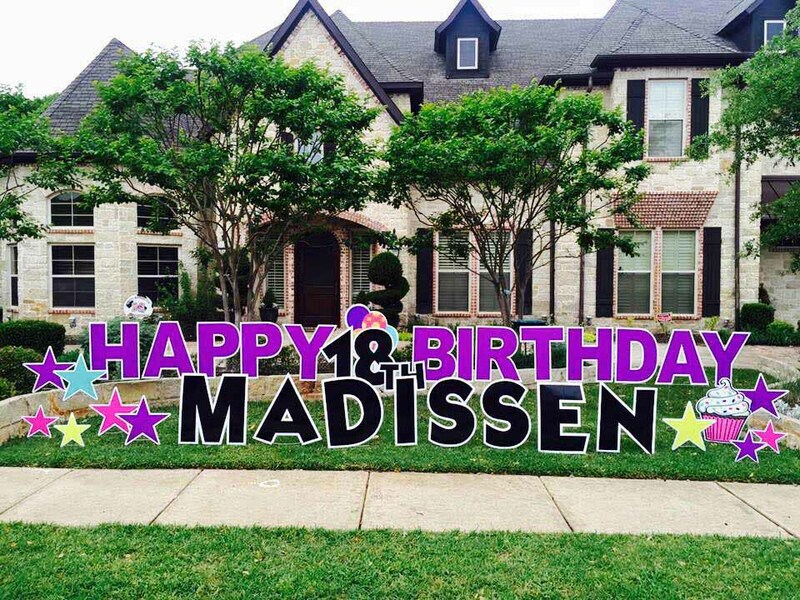 Let us make that event special with a suprise, personalized yard greeting. We deliver, set-up, then pick up 24 hours later to complete your celebration announcement. extra special. I think the whole neighborhood stopped by to tell her Happy Birthday or honk and wave!! signs the morning of her birthday.